On Nov. 29, 1890, the first Army-Navy football game was played at West Point, New York; Navy defeated Army, 24-0. 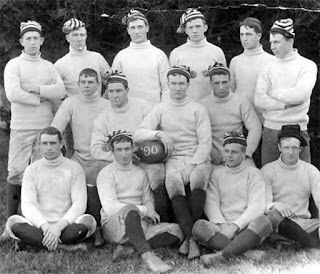 The 1890 Navy squad is pictured above. The total number of days between Saturday, November 29th, 1890 and Sunday, November 29th, 2015 is 45,655 days. This is equal to 125 years. 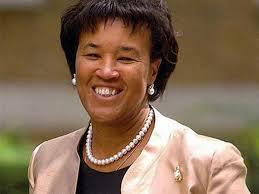 The Commonwealth of Nations on Friday elected Baroness Patricia Scotland of Dominica to its top post of secretary-general. She becomes the first woman ever to hold the post, which includes representing Commonwealth policy that affects the 33 percent of the world’s population that lives in Commonwealth countries. Star of David.. All seeing eye..
CNN's Kyung Lah, Jason Hanna, Josh Berlinger and Kim Hutcherson contributed to this report. Pope Innocent the VIII wasn't so innocent. He's rumored to have had between 16 and 100 illegitmate children. A lot of them signed his tomb. One of those names was Christopher Columbus. Who's your daddy CC? "The Admiral was chosen for his great work by our Lord who through his descent was from the blood royal of Jerusalem, yet was content to have his parentage from an obsure source." 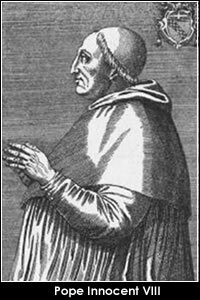 The first Pope to encode Papal documents in secret ciphers..
"He was the son of a Jew and the nephew of a Muslim"
Giovanni Battista Cybo (or Cibo) was born in Genoa of Greek ancestry, the son of Arano Cybo or Cibo (c. 1375-c. 1455) and his wife Teodorina de Mari (c. 1380-), of an old Genoese family. His paternal grandparents were Maurizio Cybo and his wife Seracina Marocelli. Arano Cybo was a senator in Rome under Pope Calixtus III (1455–58). King Ferdinand the First, also known as Ferrante.. The Conspiracy of the Barons was a revolution against Ferrante of Aragon, King of Naples by the Neapolitan aristocracy in 1485 and 1486.. The city Venice, enemy of the Aragon crown. After Innocent's VIII's death the Cybo family married into the d'Este family, which in turn leads to a winding trail to Hanover, the House of Orange and eventually to Victoria Welf Este otherwise known as Queen Victoria. Which means the descents of Christopher Columbus are related by blood to Queen Elizabeth! Cybo's Coat of Arms included a matrix of black and whites squares. A description of Innocent VIII call him, as already mentioned, as “naval pope”. Why? In some way he could also be described as the “American” pope. Columbus in the north of Italy means son of an unknown father, a foundling, son of the dove of the Holy Spirit, like the name Esposito in the south. Could father and son perhaps have gone to America together before 1492? Columbus was always extremely reserved about his origins. He had a family coat of arms, something which in itself indicates that he wasn’t quite a “mister nobody”. The kings of Spain allow him to add it to the new arms, which are he is granted. The initial coat of arms of the Admiral depict a part whose colours refer to those of the Cybo family. Pope Borgia first describes Columbus as “dilecte fili”. “Nato facto”, predestined and programmed for “such a great enterprise”. An atlas by Ptolemy, kept in the Academy of the Lincei in Rome, has a note that describes him as “Columbus nepos”. Equally in a coeval map at the library of Perugia. Nepos-nephew was the way courtly hypocrisy also called the children of pontiffs. At a time when many popes had children. Like Innocent VIII. A pope outside every norm, in a legacy that refers to the Orders of chivalry. Like those of the Holy Sepulchre and the Templars. Merged into the knights of Rhodes (today of Malta) and which had not given up the dream of a universal synarchy. The pope came from the East, from Greece which for centuries had preserved knowledge, which now pours into Italy and contributes to the rising of the Renaissance. The pope had grown up among those knights of the sea who in Rome handed over to him as hostage, Djem, the son of Mohammed II, the conqueror of Constantinople. His brother Bajazet usurped the throne of Djem. The two are rivals to the point that both promise the pontiff the restitution of Jerusalem, of the holy places and of Constantinople, as long as he supports one of them. alessandro viThe shrewd, in some ways Levantine, politics of Innocent VIII is a subtle game of chess, just as in his family coat of arms which, in the play of black and white, refers to the colours of the Templar “baussant”. Never as at that time was the papacy, which was the undisputed spiritual head of the Christian world, on the point of also assuming the temporal leadership of the completed globe. The aim was the peace and harmony that the Renaissance pursued. Starting with the harmony of the rediscovered sphere. Attempts at revitalizing the municipality have, however, not been successful. In June 2011, the multinational company BBDO, citing over 150 attacks on their staff by locals, posted an open letter to then-mayor Philippe Moureaux announcing their withdrawal from the town. As a result, serious questions were raised about governance, security, and the administration of Mayor Moureaux. Mayor Ron Corbett likens his city to another that has government buildings similarly situated on an island in the middle of a river. "There's only two places that are like this," he proclaims. "Cedar Rapids and Paris." But because the plane flew upside down, it "over-G'd,"
Brussels: a wonderful amalgam of peep shows, cribs, frying, kebab stores, liquor stores, taverns with drunken whore runners, Islamic bookstores and illegal mosques. Islam proliferates and thrives here, like a rose on a mestvaalt.Sinds years been the capital of Europe, a stronghold of Muslim extremists.Arthur van Amerongen popped up a year under this dreaded environment: he went to live in the Marolles and enrolled at the Al Khairaacademie in Brussels. There he studied Islamic theology, along with bearded Moroccan boys and girls who want to be veiled religious teacher. Every day he practiced the salat, the prayer and wudu, the ritual cleansing that precedes it. He ate halal was a teetotaler and was on track to be a devout Muslim.Everything went well until he painfully with his repressed Calvinist faith trauma faced. I concur. Molenbeek and some other parts of north and west Brussels are ghettoes of fomenting Islamist extremists. You are right that this is partly possible thanks to the overly generous social security. I explained 4 years ago how the Belgian social security helped fund Islamic terrorism. I am always surprised how lax Belgium can be with immigrants. Brussels Airport is a good example. I have travelled to about 50 countries on all five continents, but nowhere else have I witnessed an international airport where there is no passport check whatsoever on arrival. I have used Brussels Airport for flights from outside Europe dozens of times and not once have I seen a passport control for any passenger from any flight. Anybody can enter the country from anywhere without any control. It's hardly unbelievable, especially after 9/11. In countries like the US and Japan, any foreigner must fill an arrival form (answering questions relating to the purpose of visit, place of stay, etc.) and have their fingerprints and photograph taken. The French-speaking Socialist Party in Belgium is a real mafia. In 2006 I started listing all the news reported in English about corruption and other scandals relating to the Socialist Party. I stopped because I got fed up. It's just never ending. I am not surprised to find that Socialist politicians like Moureaux colluded with and protected Islamists. After all the Socialist Party is the ruling party in all the Muslim neighbourhoods of Brussels because they actively coveted their votes by turning a blind eye on their criminal activities. The total number of days between Saturday, March 7th, 2015 and Friday, November 20th, 2015 is 258 days. There is a worldwide conspiracy being orchestrated by an extremely powerful and influential group of genetically-related individuals (at least at the highest echelons) which include many of the world's wealthiest people, top political leaders, and corporate elite, as well as members of the so-called Black Nobility of Europe (dominated by the British Crown) whose goal is to create a One World (fascist) Government, stripped of nationalistic and regional boundaries, that is obedient to their agenda. Their intention is to effect complete and total control over every human being on the planet and to dramatically reduce the world's population by 6.5 Billion people to 500 million. While the name New World Order is a term frequently used today when referring to this group, it's more useful to identify the principal organizations, institutions, and individuals who make up this vast interlocking spiderweb of elite conspirators. NEWTON FALLS, Ohio – The Ohio State Highway Patrol says five foreign nationals were arrested Thursday, charged with identity fraud, possession of drugs, possessing criminal tools and forgery, according to the OSHP report. According to the report, the five men arrested were Jibril Abdiselam, 24; Mohammeddeq Hassan, 27; Mohamed Mahamoud, 26; Zakaria Warsame, 25; and Said Sheikh. They are scheduled to appear in Newton Falls Municipal Court on Thursday. This footage was broadcast live... imagine the scale of the lie. CNN Tries to rename ISIS again. The name ISIS is the same as... Israel Secret Intelligence Service. Rousey chased Holm around the ring at UFC 193 on Sunday - looking for the right hold and taking head shots along the way - until Holm saw an opening 59 seconds into the second round and snapped a kick to the head that immediately dropped her more fancied opponent to the canvas. Holm boasts a boxing record of 33-2-3. Somebody made a lot of money! "The Nephilim were on the earth in those days, and also afterward, when the sons of God came in to the daughters of man and they bore children to them. These were the mighty men who were of old, the men of renown." Is Angela Merkel a FAKE person? Sure looks like it! Who is she anyway? The exact origin of the cipher is uncertain, but records of this system have been found which go back to at least the 18th century. Variations of this cipher were used by both the Rosicrucian brotherhood and the Freemasons, though the latter used it so often that the system is frequently called the Freemason's cipher. They began using it in the early 18th century to keep their records of history and rites private, and for correspondence between lodge leaders. Tombstones of Freemasons can also be found which use the system as part of the engravings. One of the earliest stones in Trinity Church Cemetery in New York City, which opened in 1697, contains a cipher of this type which deciphers to "Remember death" ("memento mori"). George Washington's army had documentation about the system, with a much more randomized form of the alphabet. And during the American Civil War, the system was used by Union prisoners in Confederate prisons. The US military has reportedly delivered a new consignment of weapons and ammunition to a group of militants fighting against the Syrian government. The weapons were delivered by land to the so-called Syrian Arab Coalition which Washington regards as a “moderate rebel group,” a US official, speaking on condition of anonymity, told the Reuters news agency on Sunday. VIII. Was Castro’s 1994 Migration Gambit a Success? IX. But the 1994 Refugee Gambit Was Less Successful than Mariel. Why?